The OK-VISE Multi-Rail base is the strongest on the market due to its steep serration profile. It has been designed for D- and B-series clamp modules and can withstand up to 4 tons clamping force. 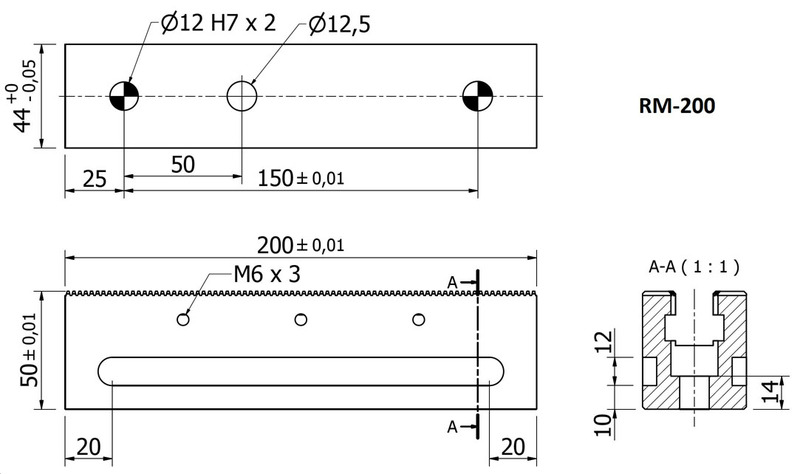 The pitch of the serration is 2.5mm, and the size of the RM profile is 44 x 50 mm. 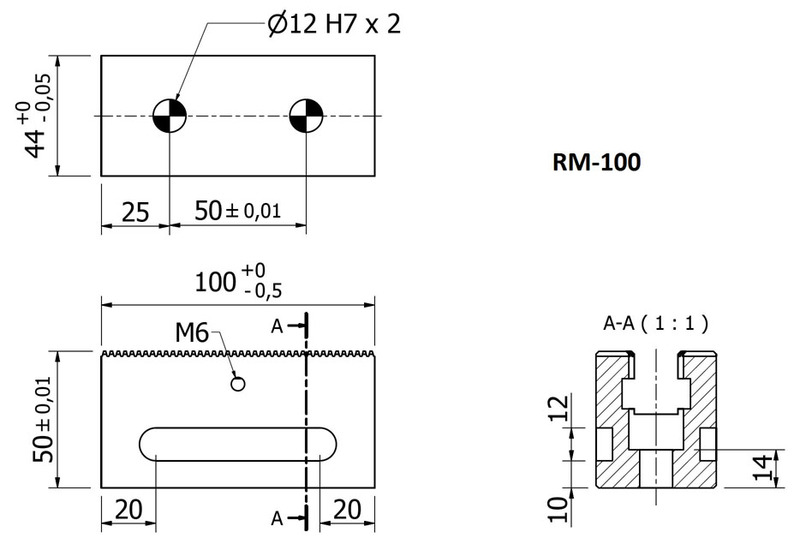 The accuracy from every serration to the positioning hole is ± 0.01 mm. 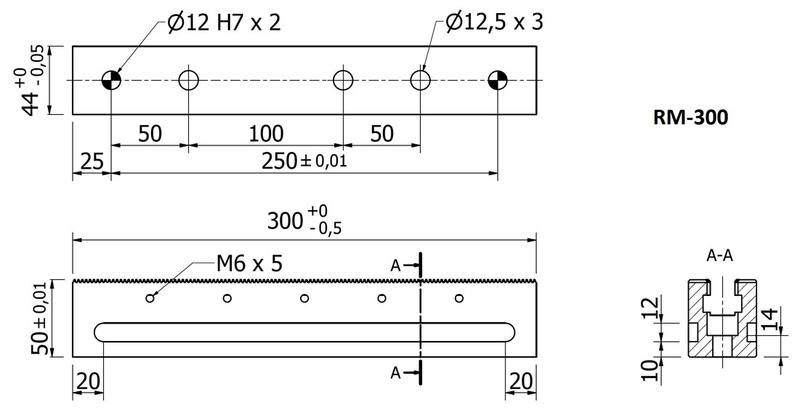 On Multi-Rail base rails L=400...700mm, positioning hole is the second one from the end of each rail. Special length rails (also longer than RM-700) are also available.